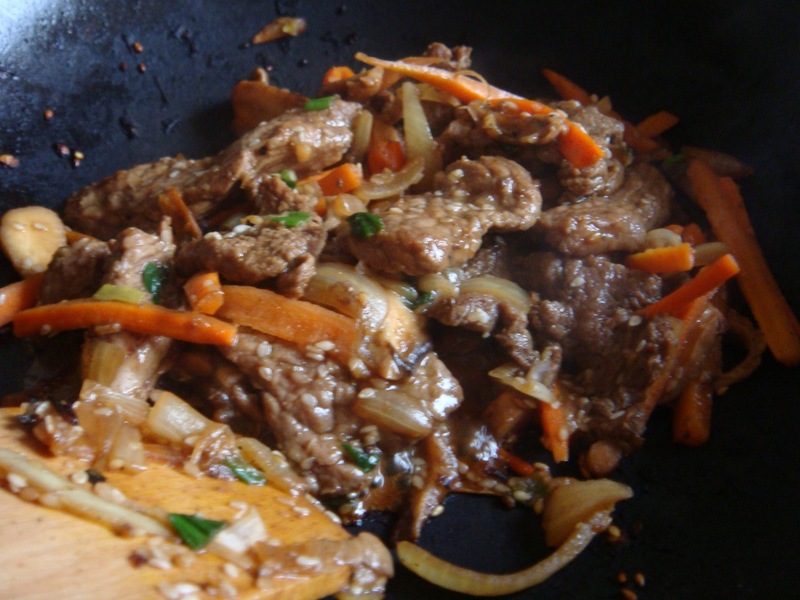 Bulgogi 불고기 is definitely one of the most popular Korean foods in the West. 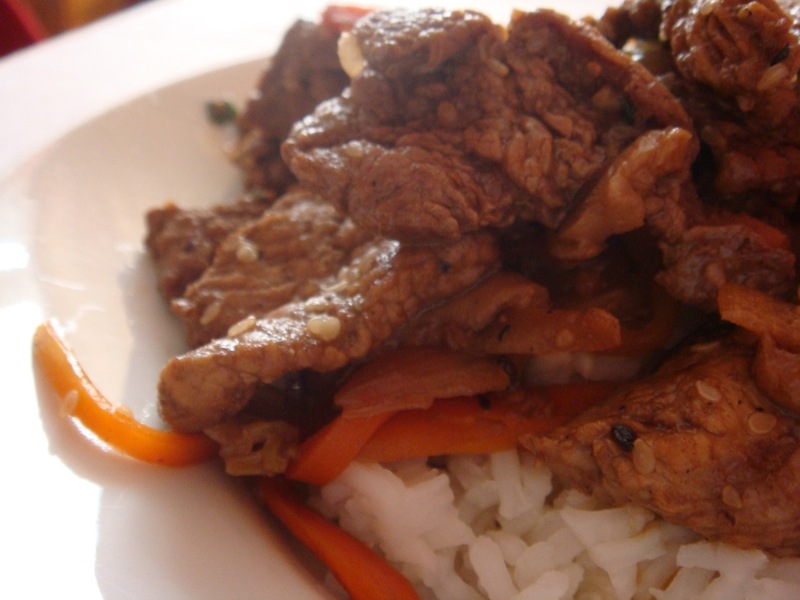 It’s a dish made of thin slices of prime beef, marinated and traditionally cooked on the grill. Some time ago, my Korean language teacher found a recipe for Bulgogi in a Polish women magazine. 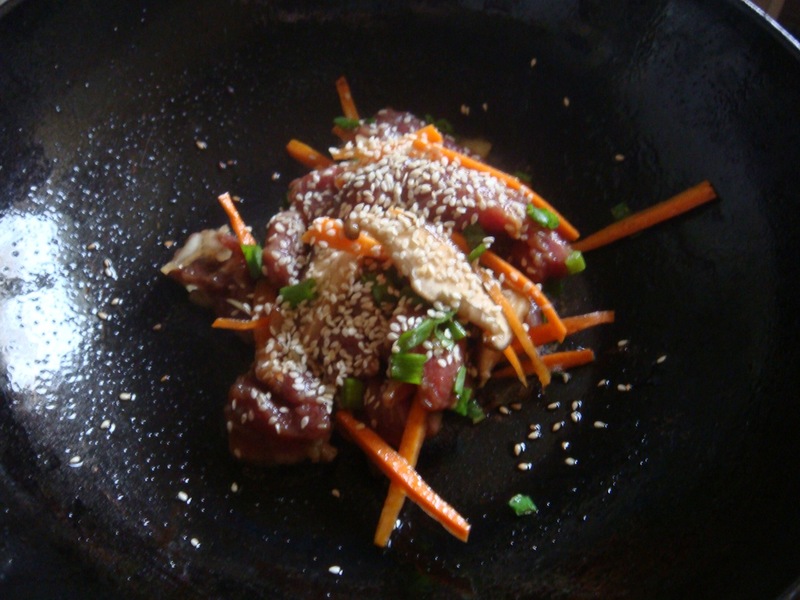 I already made it few times, but since “It’s Bulgogi time!” every 2 weeks for me, I decided to write about it. 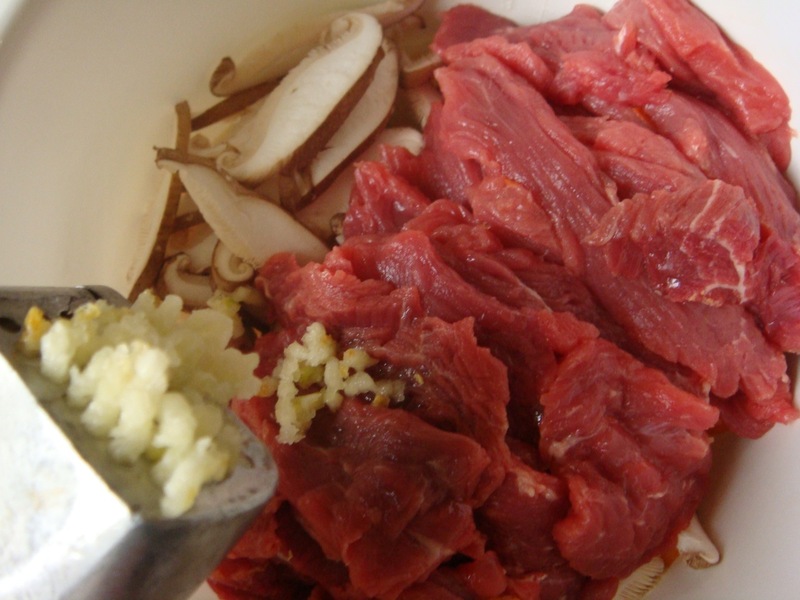 Cut the beef into thin slices, as thin as possible. 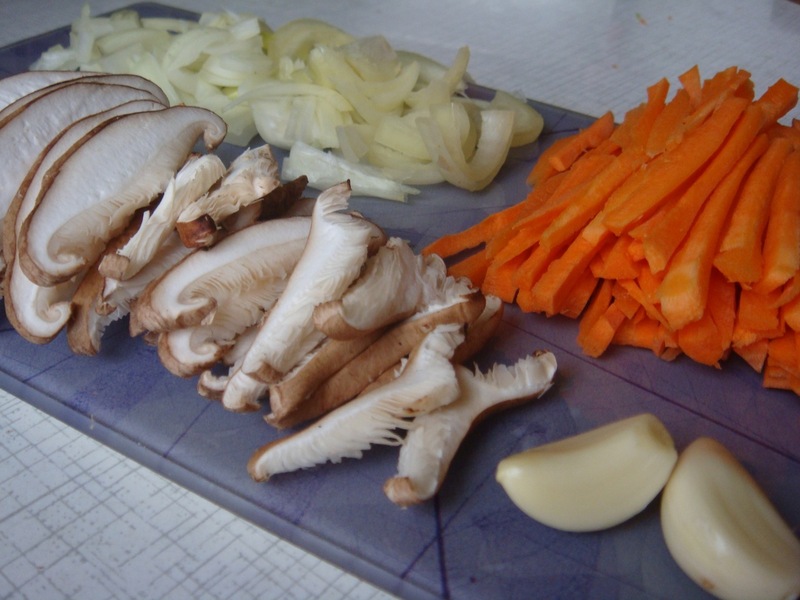 Cut onions, carrots and mushrooms into slices. Put them all in a large bowl. 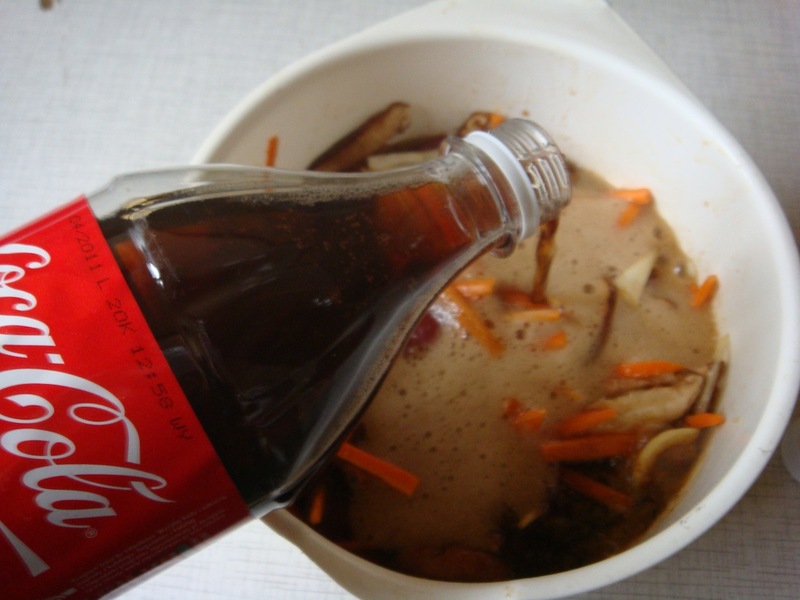 Add the squeezed garlic and pour the Coca Cola. What’s the Coca Cola for? It makes the meat tender. There are other ways to tenderize it, but let’s stick to the recipe. Add sugar, soy sauce and sesame oil. Cover the bowl with aluminum foil and put into a fridge for 2 hours. 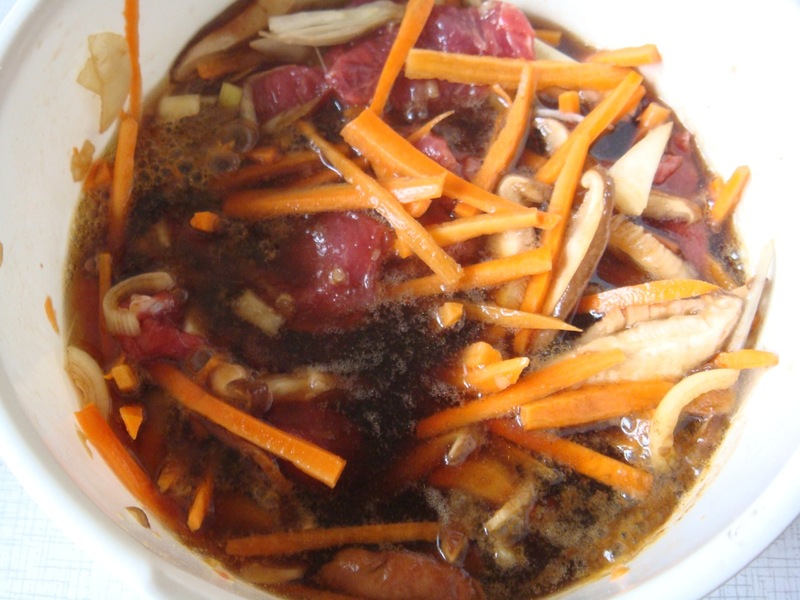 Remove an extra marinate from the meat. 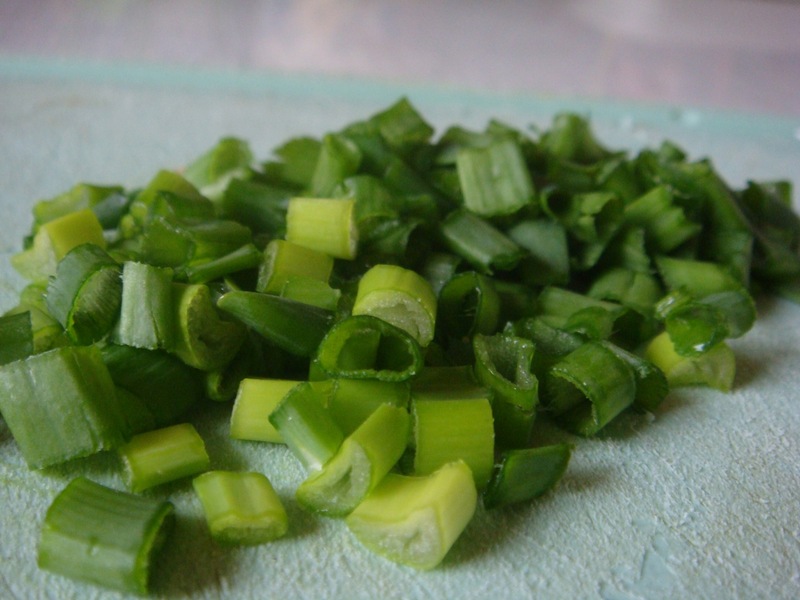 Add some sesame seeds, green onions (optional) and fry it on a pan for few minutes, until the meat becomes lightly brown.